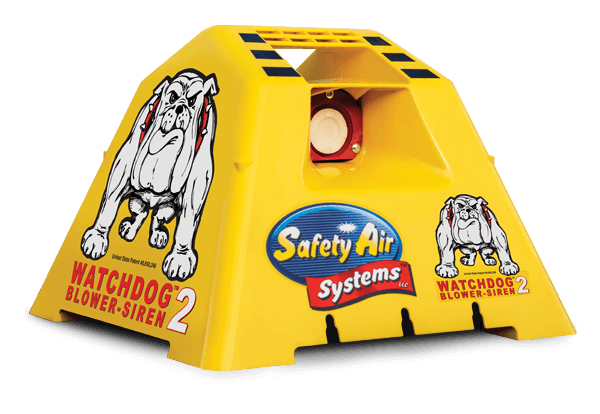 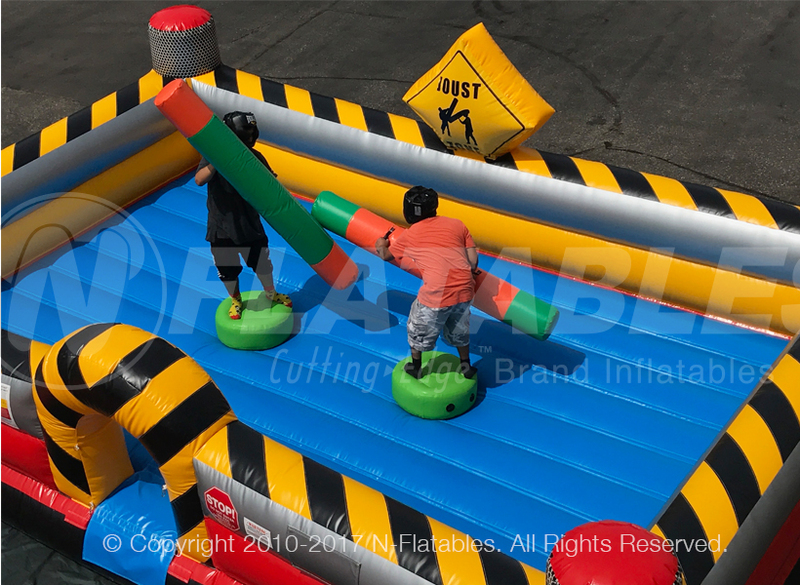 We have given this classic inflatable joust unit an upgrade featuring our fun new High Voltage™ color scheme and design. 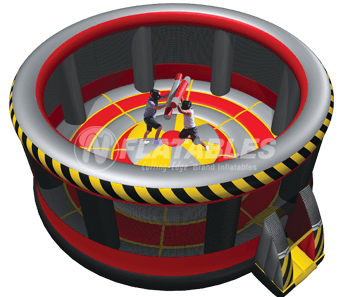 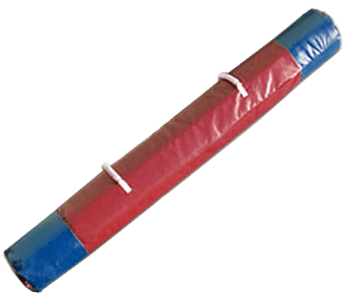 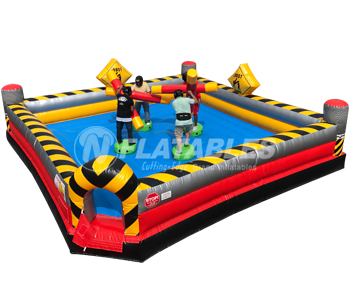 This inflatable allows 2 people to battle at once on top of foam joust platforms! 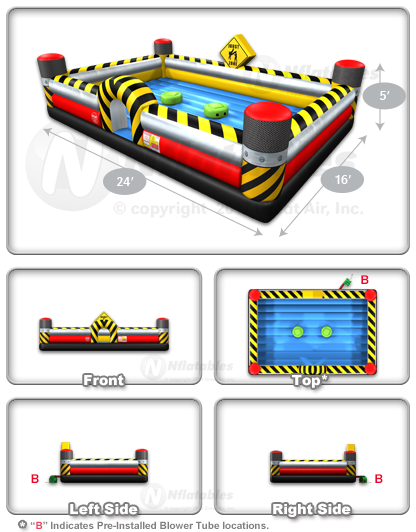 Headgear is required. 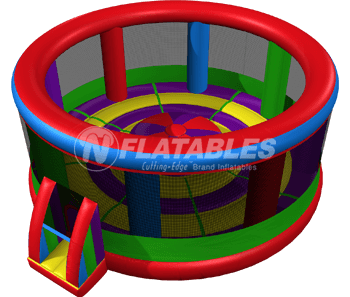 We also have this unit available in a 4-player version. 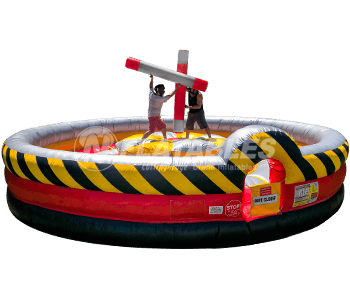 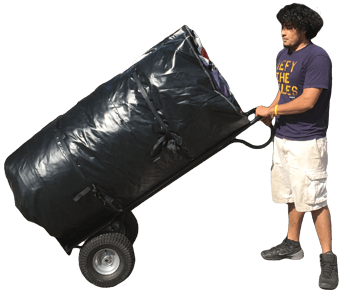 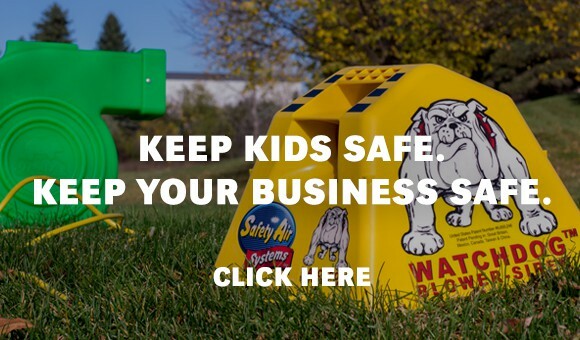 This unit comes with (2) leather headgear, (2) foam joust platforms, (2) joust poles, top and bottom tie-down tether straps, anchors, a heavy duty bag, and repair kit. 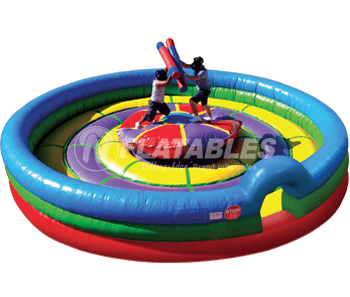 High Voltage 2-Man Joust™ from N-Flatables.